Chris Cryder joined Save the Sound in May 2007 and is responsible for coordinating various outreach activities for CFE and Save the Sound, as well as implementing green infrastructure projects. 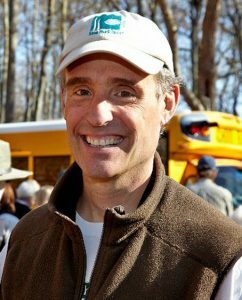 Prior to joining Save the Sound, Chris was a member of a citizen activist group, the Alliance for Sound area Planning (ASaP), which partnered with CFE in the fight to protect “The Preserve,” a 1000-acre forest and wetland area in Old Saybrook. He studied biology as an undergraduate, and has a master’s in health services administration.